You are viewing an Unlisted article which can only be accessed by people with the direct link. 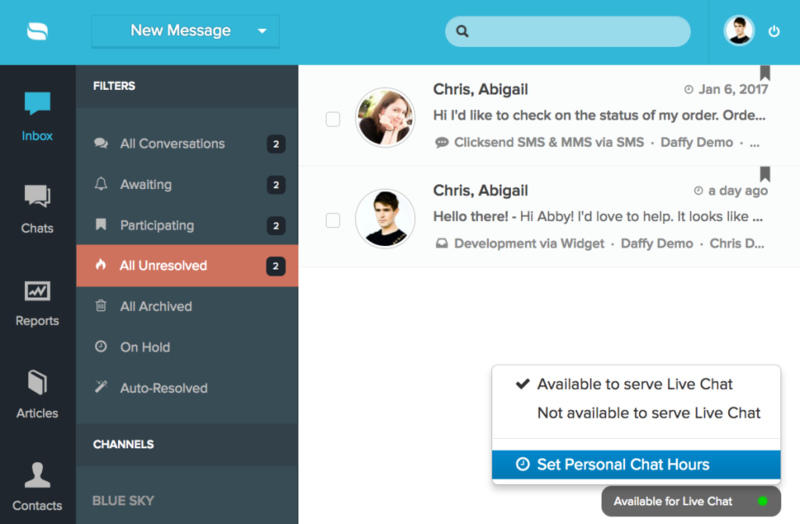 Re:amaze Classic Live Chat supports personal office hours. 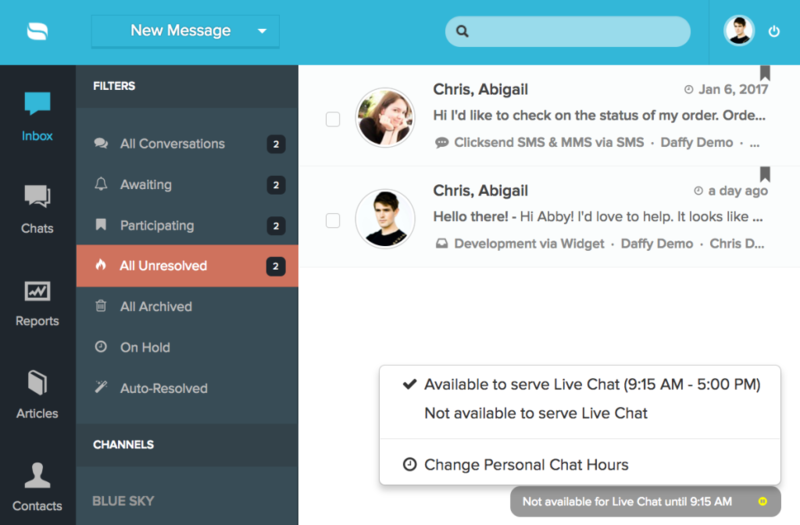 If you manage a team of live chat agents or are on a team of live chat agents, managing everyone’s office hours can be a bit challenging. 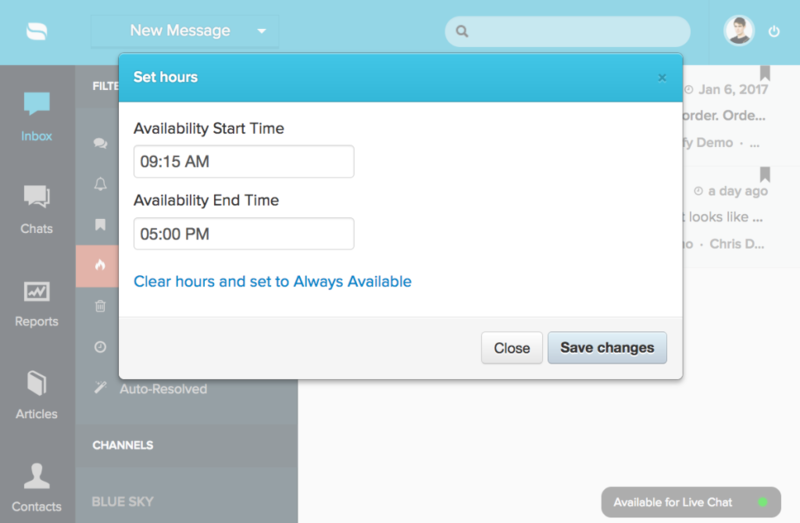 Classic Live Chat office hours allow you to set your own time and availability. Chat hours refresh automatically as well. If you’re toggled on but are outside of your available hours, a yellow icon will illuminate. If you’re toggle on and are within your available hours, a green icon will illuminate. If you’re toggled off, the white icon will illuminate.